How to Sell your stamps to A to Z. We only buy from people located within the USA. If you have just one or a few stamps, or stamps sorted by country in envelopes, a shoebox, cigar box or old photo album, they will most likely (99.258% chance) be common and we will not be interested. Give them to a child. If you have a beginner collection from your childhood or someone else's childhood we will not be interested. Beginner collections come in albums with names such as: Modern Stamp Album, Statesman Album and Travelers Album. They normally are about half an inch to 2 inches thick and are moderately to sparsely filled with stamps from around the world. These came from inexpensive common stamp mixture packets which were common then and with so few stamp collectors nowadays, they are worth even less. Just because a stamp is over a 100 years old does not make it sellable. Bottom line, if the person building the collection was not spending much money on it, then it will still not be worth much. Give these beginner albums to a child. If you have been tearing stamps off your US mail they will have no value. Used (Cancelled) United States stamps since 1925 have little resale value. Give them to a child. Elvis Presley and German Hitler stamps are not rare. They are both extremely common and we do not purchase them. Most First Day of Issue Envelopes after 1935 or "Gold" Foil Stamps on envelopes have very little market value, and unless you want to sell the “gold” foils for a dime each, we do not purchase them. The exception to First Day of Issue envelopes since 1935 are ones that have been HAND PAINTED with a very limited serial/edition number. We do not come across these very often. 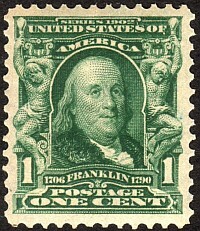 All other post 1935 First Day of Issues are worth about 5-10¢ each. We do not purchase items from the Franklin Mint, Postal Commemorative Society, Reader's Digest, etc. in fancy books that were sold on a subscription basis. They were sold to pseudo-collectors and most true stamp collectors have no interest in them. They are usually pretty and nice and a great way to learn history so give them to a child! If you purchased something via a mail-order advertising campaign with a square "Certificate of Authenticity" that has a serial number but NO picture or description of the actual stamp then you probably have something that is "authentic" but has no value. There are legitimate stamp certificates from places like the American Philatelic Society, the Philatelic Foundation, PSE, PSAG, or foreign certificates etc. These are for high value stamps and will have an exact description of the stamp and a picture of the stamp. Not many collections will have these unless advanced. If most all of your stamps were purchased as mail order approvals from Mystic, Garcelon, Harris, Littleton, Kenmore Jamestown, Falcon in little pre-printed glassine envelopes, we will not be interested. Lastly, PLEASE do not look on the internet and see that "your" 1c Green Franklin or 2c Red Washington Stamp is selling for thousands of dollars. There are very rare varieties of these stamps but they are so rare that I don't even bother to check my own. I have tens of thousands of these stamps and could spend a lifetime looking for a rare variety and never find one. The differences are subtle and require specific tools to identify them. Your stamp must have a certificate from the PSE or a similar agency for us to be interested. We cannot check your stamp to see if it is the rare one as, again, we don't even check our own. If you have any of the above items PLEASE do not call us or bring them in. Gas is too expensive and time is too precious to waste. Give them to a child! Age 6-12 is best. Stamp "Investment Portfolios" often sold via telephone solicitation from boiler room operations in Las Vegas NV or Boca Raton FL are generally a scam and a fraud. A man that came to see us "invested" $40,000 with these jerks at the rate of about $1,000 every couple weeks. I could not even give him $50 for his "investment". The stamps were garbage with no value. DO NOT buy stamps from slick salesmen promising to buy them back for at least what you paid for them at some later date. They will be out of business in a few weeks and you'll be out of luck. If the collector was buying stamps at auction or from local stamp dealers or stamp shows this is a good sign. If they were buying mail order (from companies other than Mystic, Kenmore, Harris, or Garcelon etc. noted above) this is good. Especially good finds can be from Herrick, Bombay or other new issue dealers. These will not necessarily be in albums as many collectors saved them as they came in the mail. Often in glassine envelopes or bags but NOT pre-printed approval envelopes. Lots of receipts from auction houses is a very good sign. 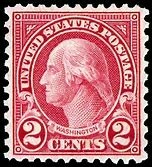 United States stamp collections with lots of stamps on the first 20 pages can be very good. If only a few stamps on these pages it is probably a beginner collection. Good US Albums are Scott National and Harris Liberty if very full in the early pages. Also United States albums with lots of still mint unused uncancelled US stamps can add up to some value worth bringing in. Mint United States Sheets, Plate Number Blocks, loose mint US postage stamps, annual year books with stamps, or year sets since 1935, and even very recent mint US postage stamps will still have value. If your collection is towards the advanced end there should often also be very good reference books we would want to buy and we can purchase the unused supplies and tools of the collector in addition to the stamps and envelopes. If there are coins with the collection we can ask that you call Steve Rye of A-1 Coins in Scottsdale. (480) 947-4141 or ryecoin@yahoo.com. We sell all the coins we find to Steve as well and we do not retail any coins or currency at all. US Dimes, Quarters, Halves, and Dollars from 1964 and back have silver in them and will add up quickly to a nice sale for you. An exception to this is that Michael does buy Ancient and Medieval Coins but for his own collection. We are therefore a top buyer for Ancient Greek, Roman, Classical and Medieval Coins and generally any coins issued before the year 1700. When bringing or sending your collection to us DO NOT do anything to organize it as you may end up damaging fragile items. Best is to leave the collection as is and if it ends up not being very valuable you will have saved yourself a ton of work. Do not bother making any sort of inventory to "help" us as we will not use it anyways. We need to see the actual stamps and evaluate the condition and proper identification. We are very busy travelling to shows across the country so you may have to wait a few weeks until we return. If you have a nice collection it will be worth your wait as we are the second largest show dealer in the USA and we need lots of stock to keep up with our sales! It is well known in the industry that the dealers who take out big full-page ads in the stamp publications saying they pay the highest in actuality pay crazy low prices as they have to pay for all those ads and mass mailings to get you to sell to them. Also once they buy from you they sell to dealers like us. So avoid these middle-men. 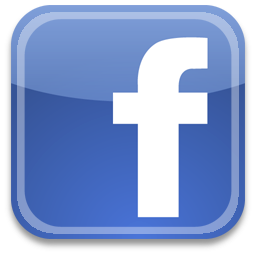 If you are shopping around for the best offer: Call us last. You'll be glad you did. (or call us first and save the trouble!) 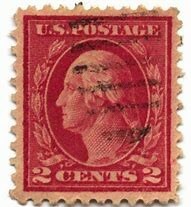 We are the only major stamp dealer in Metro-Phoenix that specializes in stamps only. (and one of the few in the USA for that matter) The others do most of their trade in coins and jewelry. Stamps are not a sideline with us. We sell more - we pay more. If you live out of town you can also SHIP your stamps to us for an immediate offer. We get shipments in every week of small to large collections that meet the criteria above of what we are looking to buy. The US Post Office has a Medium Flat Rate Priority Mail box that is shaped like a shirt box that will hold an album or two nicely. FedEx Ground is also a great way to ship using your nearest FedEx Office store. When shipping to us first put the items inside a plastic bag just in case the box gets wet in transit. If we are out at a show we will take care of your package the day after we get back. Email to let us know what you are shipping and when and we'll watch for it and email you when it arrives. Sometimes a collection is so large that it cannot be shipped easily or someone local in Arizona just can't bring that much to the office or is old and can't travel to us easily. We can and do make house calls all over the USA. We have bought collections from just about every state in the US as our show schedule takes us all over the country. It may take some time for us to get to you but it will be worth the wait since you'll be getting so much more for your collection by selling to us and avoiding all middle-men. We prefer to be contacted by email at iShop@worldwidestamps.com . 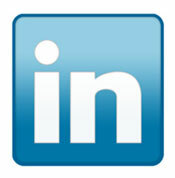 Email will get you the fastest response usually within a few hours and most likely within minutes. We post our next open hours in the store on top of the first page of our website. Michael is also often on the internet for live chat so please click on the live chat link if it says he's online.